After each photo, you are scored on your technique. Grab your camera and get ready for a ride you will never forget in Pokemon Island! Pokemon Snap was a first person rail shooter and simulation game released for the Nintendo 64 in 1999 by HAL Laboratory and Pax Softnica. Originally slated for the unsuccessful 64 DD it was met with much skepticism as a game concept when originally promoted, however much of this died down once Pokemon fever began to hit the USA. It was one of the first console games to be released based on the Pokemon series and would leave a legacy which would reach into many games of the future , such as Beyond Good and Evil and Afrika due to it’s revolutionary camera system. In Pokemon Snap you take on the role of Todd Snap, an aspiring Pokemon photographer. On the request of Professor Oak, your mission is to traverse through a variety of areas and take the best photos of Pokemon that you can. It may not be the most exciting journey in the world of video games, but it works well enough as a means to motivate you as a player. The game features seven levels in which you explore (although in a linear fashion.). These are Beach, Tunnel, Volcano, River, Cave, Valley, and the special course Rainbow Cloud. Each course has its own unique Pokemon and unique style which keeps the game vibrant and refreshing. In your journey through the world you are equipped with apples and pester balls with which you garner the attention of Pokemon to get the best snapshot possible to bring back to the Professor. Once back in the lab your photos are rated in terms of the Size of the Pokemon in the photo , how well centered it is and also whether it is performing a special pose which will net you some extra points for your time. Which I think is a very neat feature which can keep you coming back to get the pitch perfect photograph. While this system works well, you often have the urge to keep some of your favourite photos, but this is made possible by a photo gallery which allows you to store 60 pictures. A final feature which is of no use now but I think is something that could be utilized more often in today’s games is that fans could print out some of their photographs onto stickers at local blockbuster stores. I think features like this can make a game more immersive and bring a game into the real world far more successfully than any 3D functionalities we see today. It could be tough getting great shots of Pokemon at times. As fun or exciting as the game is , It’s replay value and value as a game in itself can be let down by a few hitches. A major problem with the game is that it is rather short. You will get the first 50 or so Pokemon in only a few hours. 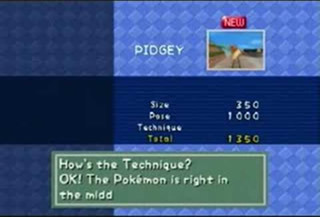 While the remaining creatures are generally harder to capture, you can probably expect to spend a maximum of 20 hours playing Pokemon Snap before running out of things to do and maxing out your scores. Which can subsequently effect the replay value of a game which had a lot of good points going for it up till this point. 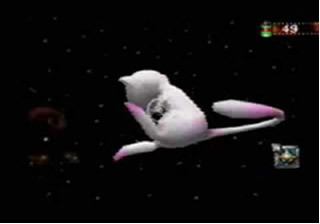 A final smaller problem which I found personally in the game was that the controls were often a bit stiff and difficult to use and at some points I found myself missing out Pokemon due to the slow movement of the character and the fast motion of the vehicle in the game. Ultimately however the game is saved from downfall due to these hitches, and the saviour is found in the graphics department. Pokemon Snap really does sport some of the most detailed and beautiful graphics the N64 has to offer. The environments are lush and detailed but also have a variety about them which prevents any feeling of repetition and keeps a good frame rate at the same time. The soundtrack to the game is also an aspect which I thoroughly enjoyed. Melodies are catchy and well designed but also keep faith to an almost Japanese pokemon feel. In game character voices are also detailed and liken very much to those off the Anime TV series which once again gives a recognisable Pokemon vibe. Graphics and sound in Pokemon Snap effectively enhance a game which is both addictive gameplay wise and beautiful to cast your eyes upon. Pokemon Snap is a game that however let down it is by a lack of features , due to a number of brilliant aspects picks itself back up onto two feet and stands proudly as an influence towards games of today and an experience not just for a Pokemon fan but for gamers of all generations. Other than the original n64 Pokemon Colosseum game with the adaptor that let you put your pokemon in the game, this was the second greatest non handheld console game ever!! Wow that was a sentence and a half.